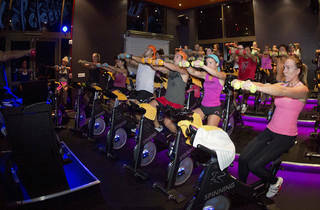 Full Psycle, a specialized workout facility solely composed of cycling programs and classes, is the creme de la cardio with an enthusiastic team of trainers, friendly competition-based workouts and detailed and personalized data tracking on your progress. You'll perform standard indoor cycling routines (a combination of hills, flats, intervals) while simultaneously using handweights to tone your abs, arms, back, shoulders and chest. 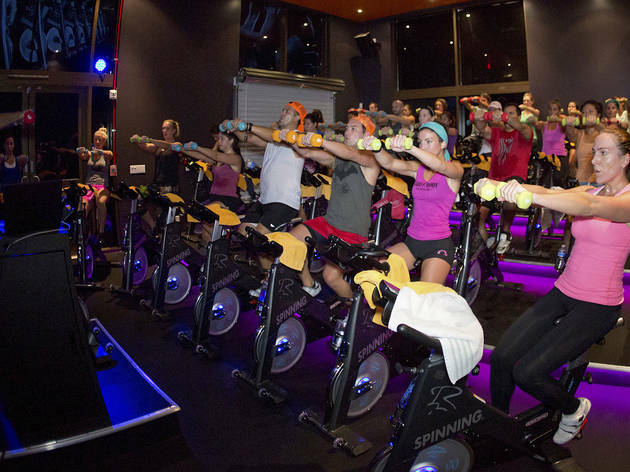 Several membership packages are available as well as options to book by number of classes.